Just as important as treating your pet, is preventing your pet from contracting illness. Stony Brook and the surrounding areas are heavily wooded- ripe environments for ticks and fleas to thrive. 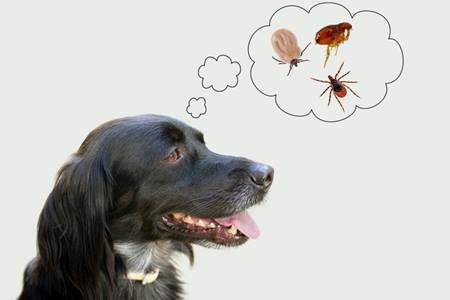 Both fleas and ticks can carry illnesses that not only affect your pet, but can also affect you and other people that may have had contact with your pet. The above illnesses can be difficult and expensive to treat. Thankfully, flea and tick products are a fraction of the cost, and many prevent and treat intestinal parasites as well as external parasites. Pets can get ticks or fleas any time of year - even winter! Ticks in particular are very hardy and can sometimes be so small that they are difficult to spot once attached. Heartworm is a disease that is carried by mosquitoes. Like fleas and ticks, mosquitoes can be active during winter, particularly on mild days. The worms are called “heartworms” because the adults live in the heart, lungs, and associated blood vessels of an infected animal. Treatment for heartworm is intensive, and often expensive. Luckily preventatives are not. Like flea/tick preventatives, many heartworm preventatives treat and prevent internal parasites as well. For heartworm, it is important that your dog is tested on a yearly basis to make sure that the preventatives are working and that your dog has not contracted the disease. Three Village Veterinary Hospital offers the following preventatives. *Products designated with an asterisk ( * ) are only available through home delivery. Dogs must be heartworm tested yearly to fill a precription for heartworm preventatives.